How did the lionfish get its name? Like the King of the Jungle, the lionfish struts around his home reef without fear, safe in the knowledge that he has no predators. 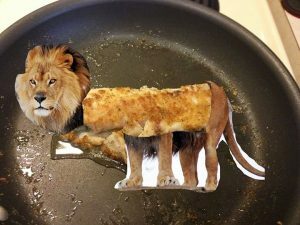 But is this truly how the lionfish got his name? Most likely the name comes from the long, flowing dorsal spines and wide pectoral fins with their bright white tips and bold red colors that resemble the regal mane of the male lion. Why is the lionfish called a lionfish? It could also be the matching hunting style of the lionfish which gives it its name. Like the lion waiting in the tall grass to ambush its prey, the lionfish moves slowly and carefully before similarly ambushing its unsuspecting next meal. Like the lion also, the lionfish is not built for covering long distances but rather for short, quick bursts of speed. They are both social, preferring to hang around in packs, sometimes even working together to herd prey. Another reason the lionfish is called a ‘lion fish’ could be the ‘bite’ of the lion. We all know the lion has sharp claws, big teeth, and a nasty bite. So too does the lionfish have a ‘bite’ with its venomous spines that can inflict a painful sting. 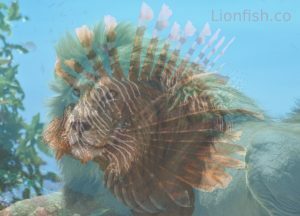 When hunting lionfish we need to have the caution of a lion tamer and always be alert and vigilant to avoid the sting. 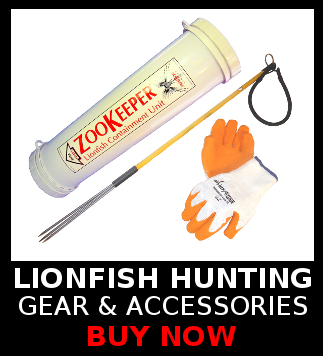 By using the proper lionfish hunting gear we can safely hunt the dangerous predator but never turn your back or look away! While it is most likely the appearance that gives the lionfish its name, I can’t help but think that the attitude fits the ‘lion-fish’ as well. Often sleeping under a ledge during the day, the lionfish comes out to patrol at dusk and dawn. The beautiful lionfish always impresses when you see it boldly sitting atop a coral head surveying the seascape without fear or concern. We can often swim right up to the lionfish, spear tip poised mere inches away, while the ‘king of the reef’ just stares blankly back at us. There is however one important lesson that the lion of Africa can teach the lion of the ocean. 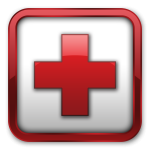 There is another predator out there, with a big brain and a voracious appetite too, that will defend its territory with vigor and tenacity.